Barnum returns home to find his circus on fire, caused by a fight between the protesters and the troupe. Carlyle runs into the burning building, believing that Anne is still inside, and is rescued by Barnum amid the chaos, suffering serious injuries. The next day, Barnum gets word from a sympathetic Bennett that the culprits have been caught, Lind canceled her tour after her, and Barnum's "scandal." Barnum's mansion is foreclosed upon and Charity takes Caroline and Helen to her parents' home. 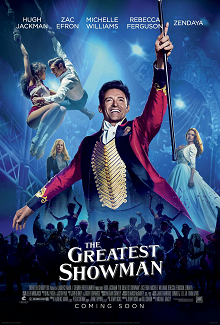 Barnum retreats to a local bar where his troupe find him and explain that despite their disappointments, they still consider themselves a family that needs him. An inspired Barnum resolves to start a new show and not let ambition overtake his loved ones anymore ("From Now On"). Meanwhile, Carlyle wakes in a hospital with Anne by his side. Barnum finds his wife and they mend their relationship.